: Adults £10. Children (Age 3-12) £7.75. O.A.P/Students £9. Under 3's . Family Of 4 £33.50. : Adults £25.50. Children £18.75. O.A.P/Students £22.50. Family Of 4 £88.50. Admits You Access To Every Blue Reef Aquariums Throughout The Country. The Blue Reef Want To Show Everyone All The Fantastic Creatures That Live In The Seas & Oceans. The Displays Take You On An Undersea Tour, From The British Coastline To Faraway Tropical Reefs & Lots More In Between. During Your Visit, You'll Come Face To Face With Incredible Sealife With Everything From Giant Crabs & Lobsters To Seahorses & Tropical Sharks & You'll Get A Chance To Find Out More About These Creatures Amazing Lives In Over 40 Naturally Recreated Displays. 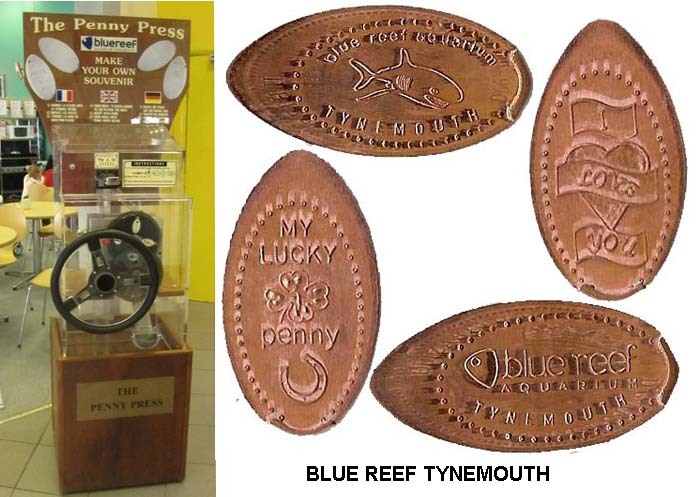 The Blue Reef Aquarium Tynemouth Have 1 Machine With 4 Different Designs. 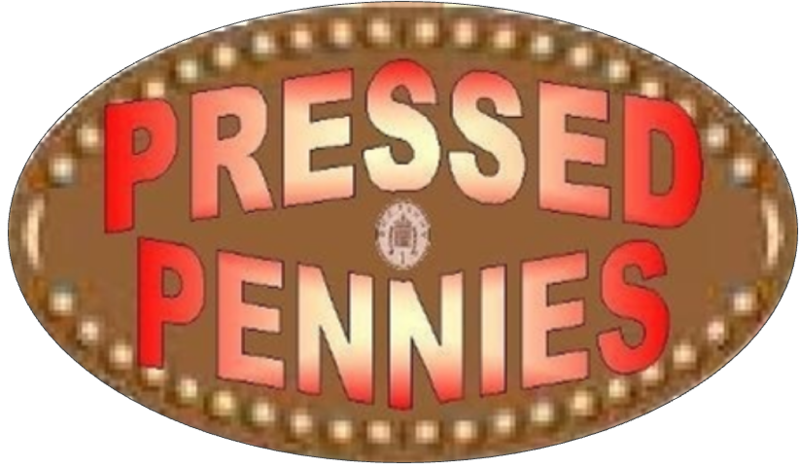 The Blue Reef Aquarium Penny Press Machine Is Next To The Cafe Entrance Opposite The Gift Shop.